I have a super cute mani that I did yesterday to show you today and it's super easy! It's some simple acrylic paint roses over black. It's so chic and easy to do, plus acrylic paint is so forgiving with any mistakes and lets you fix them with no problems at all! I think they turned out fantastic and both hands only took me about 25 minutes to complete. 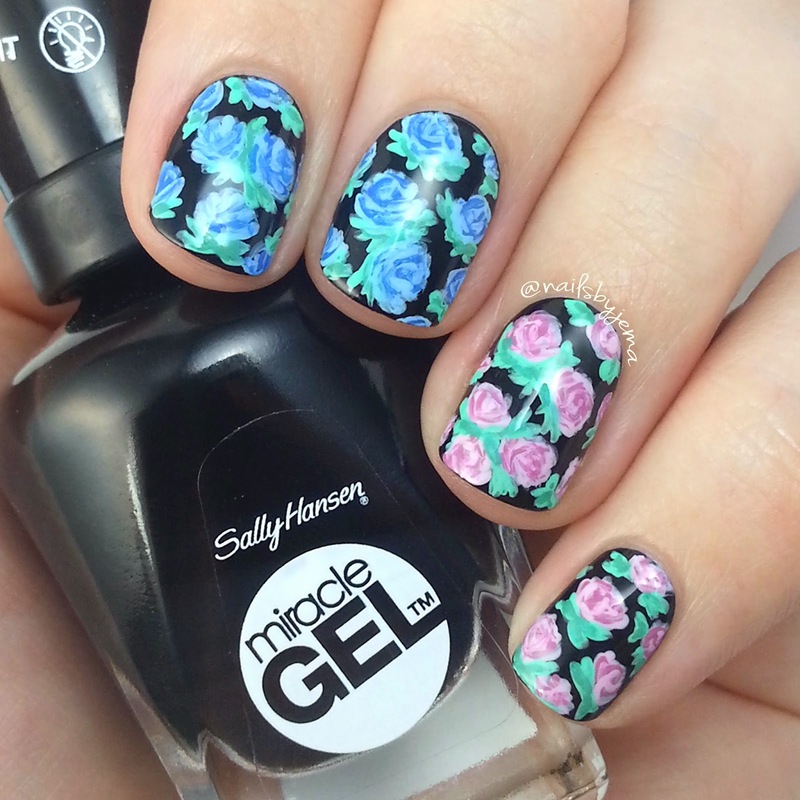 I used Sally Hansen Miracle Gel in 'Blacky O' for the base (how great is that name!!) and a mix of polish and acrylic paint for the flowers, but you could easily get the same look with only paint. 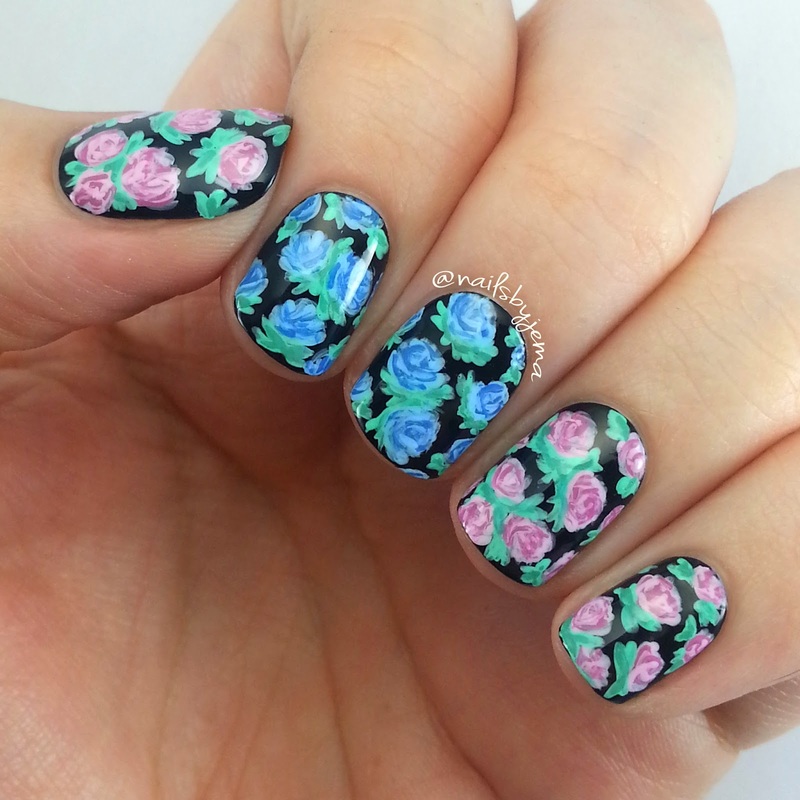 It's a much more flexible and creative way to do roses instead of stamping and the colour combinations can be endless! LOVE & HATE Nails PLUS a Video Tutorial!! !